You may have seen many Steganography tools but most of the tools can only hide text or doc files behind the images. But what if you want to hide compressed archive files like ZIP or RAR. In this post, I am posting a solution for this. Steganography is a nice tool that can hide archive files in images secretly. Steganography (beta) is available for free. It can hide you files including archive files in jpg images. Image file will still look fine and behave like original image. So, no one will ever know that you have a hidden file in the image. 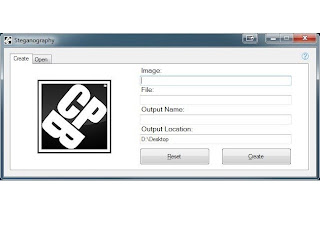 Download Steganography tool for free from Sourceforge and install in your system. After installation, run the tool. You will see two tabs in the tool. One tab is for creating the images with files inside. And other tab is for opening the files hidden behind images. For hiding an archive file behind the image, use Create tab. Here, click on text area behind image label to browse the image. Then you will see the image a the left side of the tool. Then browse the file which you want to hide behind this image. 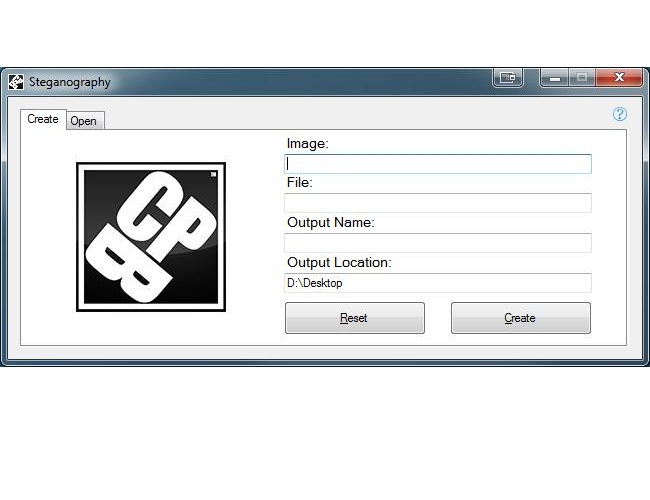 In third text box, enter the name of the output file. Now click on create and it will display a pop-up message saying "Image was created successfully." To see the hidden files, run the tool and go to the Open tab. Here, browse the image created by the tool with hidden archive. And click on Open. It will directly open the archive file. There is another way to open the file without using the tool. If you change the image extension to the extension of hidden file, you will be able to open the hidden file directly. For example, the tool has created secret.jpg file after hiding the hide.rar file. If you change the extension of secret.jpg to secret.rar, you can open the file without going to the tool. If you do not want to change the extension, open the secret.jpg (whatever image file you created with tool) to the default software of hidden file (in this case, WinRAR). There is no file size limit in the tool. You can hide files of any size in any jpg image. This nice application is available for free. It supports both 32-bit and 64-bit editions of Windows XP, Vista, 7 and 8.